If your car has been acting up, or is running rough, it could be because you engine valve are out of time due to a bad timing belt. referring to your owners manual will help you determine when you should think about replacing old timing belts. You want to make sure you do this before the belt snaps because at the point, your car is going to be pretty much stuck where it is. Preventative maintenance is always the best way to ensure that your car will run like it should, so if you’re looking for a timing belt replacement in Inglewood, CA, come to NTX. For how powerful your engine can be, it is also very sensitive to the timing of all its moving parts. An important part of keeping your engine running smooth and n time is the timing belt. 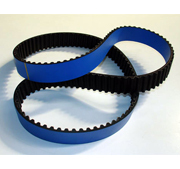 This belt connect the crankshafts to the camshafts and controls the opening and closing of the engine valves. When a timing belt begins to become lose or slip due to missing teeth or just wear and tear, it can affect the function of your engine. Unlike a serpentine belt, which is easily visible under the hood for inspection, the timing belt is located deeper in the engine and requires a bit more labor to access. Because of this, it’s best to have a professional, like our ASE Certified technicians, take a look at your timing belt for you. LA NTX Transmissions is an independently owned auto shop in Inglewood, CA. Not only are we experts at transmission repairs, but we can handle other important auto repair services like your timing belt. Whatever repair you’re looking for in Inglewood, CA, from timing belt to transmission rebuilds, you can get it done here by our expert mechanics! Call us or stop by the shop with any questions you have!